Each month CedarStone Bank “simply salutes” an influential leader in Middle Tennessee. This month the bank is proud to recognize The Hermitage. The Hermitage is a historical plantation, museum, and garden located in Davidson County, Tennessee, 10 miles east of downtown Nashville. The plantation was owned by Andrew Jackson, the seventh President of the United States, from 1804 until his death at the Hermitage in 1845. The original structure of The Hermitage mansion was a brick, Federal-style house constructed between 1819 and 1821 by skilled carpenters and masons from the local area. Though this design was typical of plantation dwellings for aspiring gentlemen farmers in the Upper South it was already beginning to lose favor in more fashionable Eastern areas. Today, the site covers 1,120 acres, which includes the original 1,050-acre tract of Jackson's plantation. It is overseen and managed by The Andrew Jackson Foundation, formerly called the Ladies' Hermitage Association. Howard J. Kittell, who has a long and distinguished career in historic preservation, has served as President and CEO of The Hermitage and the Andrew Jackson Foundation since 2008. The Hermitage is your local treasure; a house so unique it has been named a National Historic Landmark. It is a beautiful place near home to stroll under the shade of its leafy trees, view collections and exhibitions that bring the past to life, and attend many educational programs and events. The Hermitage is a special resource that helps define our idea of who we are as Middle Tennesseans. CedarStone Bank salutes The Hermitage, The Andrew Jackson Foundation, and its dedicated staff in their efforts to preserve the history of Middle Tennessee! Pictured Above Left to Right: CedarStone Assistant Vice President Robert McDonald, CedarStone’s Relationship Manager Willie McDonald, Two Rivers Mansion Founder/President Emeritus Phil Claiborne, Two Rivers Mansion President Phil Howard,and CedarStone Branch Manager Troy Putman. 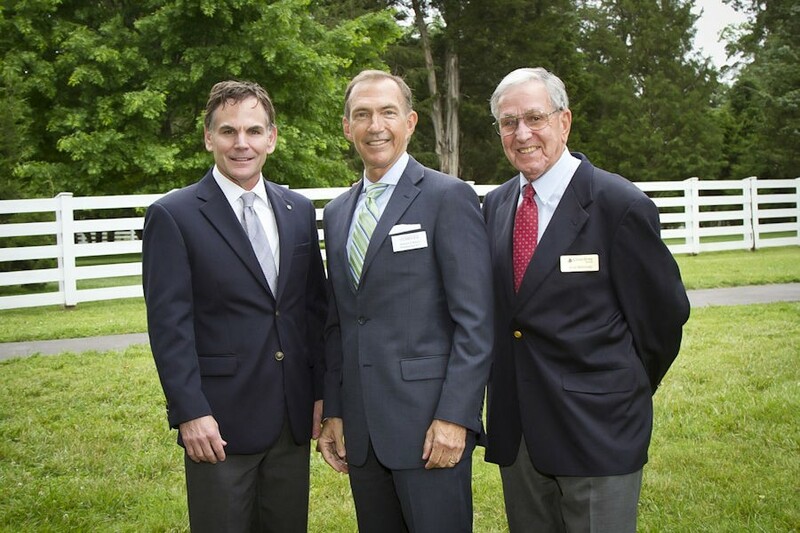 Each month CedarStone Bank “simply salutes” an influential leader in Middle Tennessee. This month the bank is proud to recognize Two Rivers Mansion. Two Rivers Mansion is one of the last of the elaborate antebellum country homes built in the Nashville area and one of the earliest and best preserved of the ornate Italianate houses in Middle Tennessee. Two Rivers was once part of an 1,100-acre plantation located on fertile, rolling land between the Stones and Cumberland Rivers. The junction of the two rivers suggested the name given to the property by its first owner, William Harding, whose family built the Belle Meade Plantation in west Nashville. After acquiring the 447-acre property in 1966, the Metropolitan Government of Nashville and Davidson County set aside the 14-acre historic site, developing two schools, a golf course, park greenway, water park (Wave Country), skate park, frisbee golf course and picnic area for families to enjoy. Restored to the stately architectural splendor of the mansion’s early days, Two Rivers reflects the taste, textures and colors of the post-war era and today remains a centerpiece for all kinds of social gatherings – weddings, parties, anniversaries, birthdays and special events for future generations to enjoy. CedarStone Bank salutes Two Rivers Mansion and its dedicated staff in their effort to make Middle Tennessee an even better place to live and work! Wilson County Community Help Center Executive Director Ben Spicer pictured with CedarStone Bank’s Jennifer Perry (former WCCHC board member, Tina Winfree (current WCCHC board member) and Bob McDonald (former WCCHC board member). 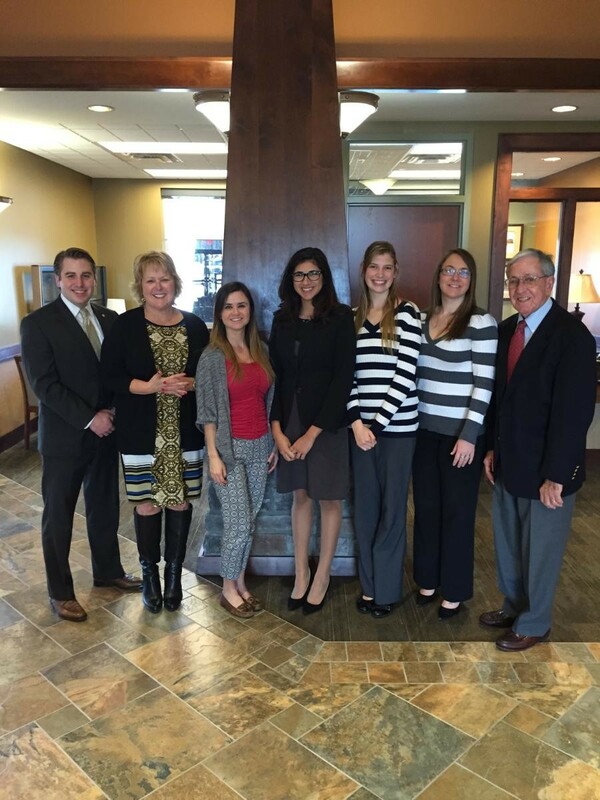 Each month CedarStone Bank “simply salutes” an influential leader in Wilson County. This month the bank is proud to recognize the Wilson County Community Help Center. The Wilson County Community Help Center was formed in 1988 when three local charities came together and united as one. Project Help, Golden Harvest Food Bank and the Faith Rescue Mission had helped those in need in Lebanon and Wilson County since the mid-1960s. The Wilson County Community Help Center was a product of that merger and was first under the direction of Executive Director Dot Maxey. The objective of the Help Center is to provide food, clothing, household necessities and financial assistance for utilities; fuel to out of county doctor medical appointments; and prescription drugs for individuals, elderly and cancer patients in need in our community. Mrs. Maxey’s original board consisted of several notable “givers” in the Lebanon community including Houston Turner, Will Allen Carpenter, Joanne Smith, Cassie Hallum, Pete Williams, Ronnie Kelly, Bob Werckle, Larry Tomlinson, Ed Blackburn, Mary Jo Cote, Sydney Berry, Wiley T. Bernard, Bobby Johnson, Fred Singleton, Marty Young, Andy Brummitt, Mike Jennings, Claudine Bissinger, Jean Reasonover and Lynn Nokes. Ronnie Doak and Gail Proctor operated the program after her retirement and now Ben Spicer is currently serving his third year as Executive Director. In 2015, the Help Center distributed more than 65,000 pounds of food to feed the hungry in Wilson County and provided more than 40,000 articles of free clothing to those in need. CedarStone Bank salutes the Wilson County Community Help Center and its staff of workers, volunteers and current board members in their effort to make Wilson County an even better place to live and work! Pictured above: Robert L. McDonald, Lisa Brown, Mallory Baker, Lucia Del Zotto (SOM), Kristina Wilkerson, Marilyn Kaczmarski and Willie McDonald. McGavock High School's Lucia Del Zotto has been recognized as student of the month for January 2016. Lucia was selected by her teachers and peers for exemplifying the characteristics of a good student and the drive to learn. Lucia attended the Donelson Hermitage Chamber of Commerce luncheon with CedarStone Bank President - CEO Bob McDonald, AVP Robert L. McDonald, and Willie McDonald. 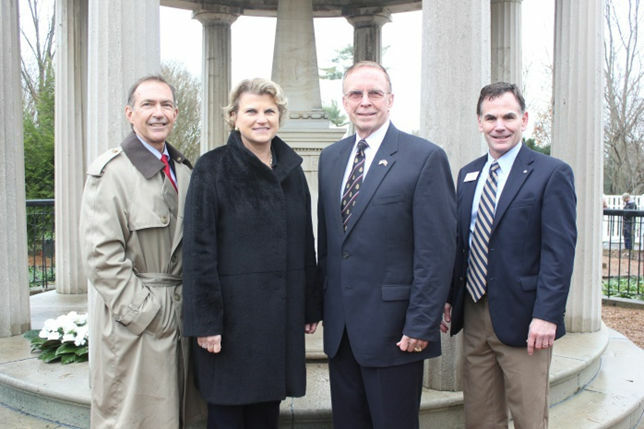 Lebanon, Tenn. (January 25, 2016) –Andrew Jackson’s Hermitage recently held a celebration event commemorating the 201st anniversary of The Battle of New Orleans. Thousands of guests visited Jackson’s home to honor the pivotal victory for the United States in the War of 1812, led by General Jackson and his troops. The Hermitage home tour was open free to the public and there was a ceremony featuring the National Guard laying a wreath at Jackson’s tomb. CedarStone Bank President and CEO Bob McDonald participated in the event. McDonald is a member of the Board of Trustees for The Andrew Jackson Foundation. The wreath ceremony included remarks from retired Lieutenant General John M. Pickler, who served 36 years in the Army, eventually assuming the role of Chief of Staff of the United States Army Forces Command. 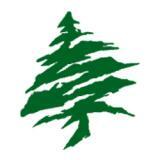 Pickler currently resides in Lebanon. For more information about The Hermitage visit www.thehermitage.com. 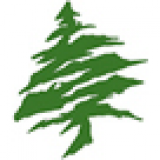 For more information about CedarStone Bank visit www.cedarstonebank.com. Pictured from Left to Right: Howard Kittell, Andrew Jackson Foundation President and CEO; Frances Spradley, Andrew Jackson Foundation Vice-Regent; Lt. Gen. (Ret.) John Pickler, keynote speaker; Bob McDonald, CedarStone President and CEO. 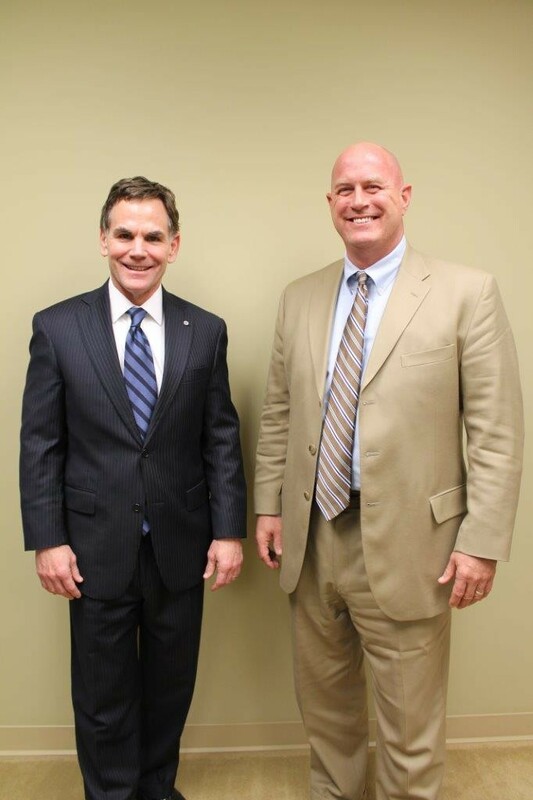 CedarStone Bank President, CEO & Chairman of the Cumberland Board of Trust, Bob McDonald with Dr. Paul Stumb. 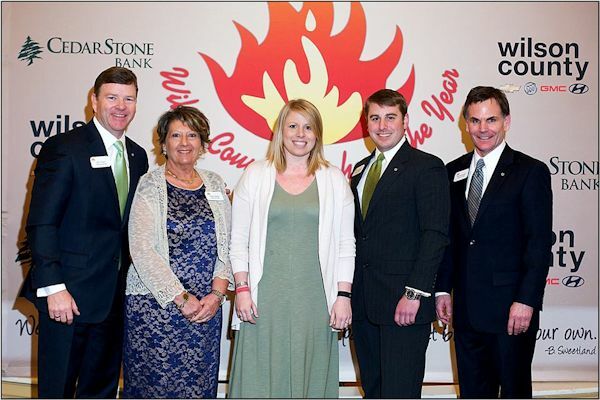 Each month CedarStone Bank “simply salutes” an influential leader in Wilson County. This month the bank is proud to recognize Dr. Paul Stumb, President of Cumberland University. Dr. Stumb is no stranger to Middle Tennessee and Lebanon in particular. 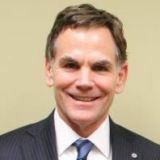 He began his tenure at the University in 2003 as an Adjunct Professor and then later served as Dean of the Labry School, a position he has held continuously until being named President of the University in August of 2015. Dr. Stumb has hit the ground running as President, relying on his past business experience and people skills in making a smooth and seamless transition into his new role. A Nashville native, Dr. Stumb is a graduate of the Navy War College Strategy and Policy Course, and holds a BS from Auburn University, an MS from the University of Tennessee, a Master’s in Education from Cumberland and a PhD from the University of Tennessee. Prior to joining Cumberland, Dr. Stumb enjoyed a successful career in the business sector, serving as Director of Marketing and Business Development and later as General Manager of American Corrugated, in the Containerboard & Packaging Division of the Georgia-Pacific Corporation, and Vice President for Operations/Executive Committee Member and Owner of One Coast Network, Inc., a gift and home decor marketing firm in Atlanta. 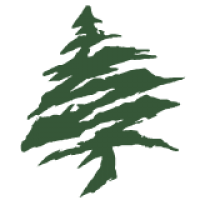 He and his wife, Christy, reside in Lebanon, just a block from the campus. They have four children and two grandchildren. Cumberland University is a civic jewel for Lebanon and Wilson County. Founded in 1842, Cumberland offers a variety of educational, athletic and social experiences to enhance the learning opportunities of the current student body. The University serves nearly 1,500 students. Its exceptional academic program is steeped in the liberal arts and its athletic teams regularly compete for conference and national championships. Cumberland’s alumni includes former U.S. Secretary of State, Cordell Hull, who also was awarded the Nobel Peace Prize in 1945; James Lafayette Bomar, president of Rotary International; Thomas P. Gore, United States senator; more than 80 congressmen, including Albert Gore, Sr.; two justices of the U.S. Supreme Court, Howell Edmunds Jackson and Horace Harmon Lurton; 13 governors, including Frank G. Clement; three ambassadors, including Edward Albright, U.S. Ambassador to Finland; scores of local, state and federal judges, including Charles Dickson Clark; and 50 college/university professors, including the “Father of Political Science,” John Burgess. While Cumberland has a distinguished past, the University is focused on the future, and on educating our next generation of leaders. CedarStone Bank is proud of Cumberland University and the school’s leadership. We salute Dr. Paul Stumb and his efforts to lead Cumberland for years to come! Middle Tennessee has experienced incredible economic growth over the past five years. Just imagine how much it’s grown over the past 65 years. One man – and perhaps only one man -- can tell you. 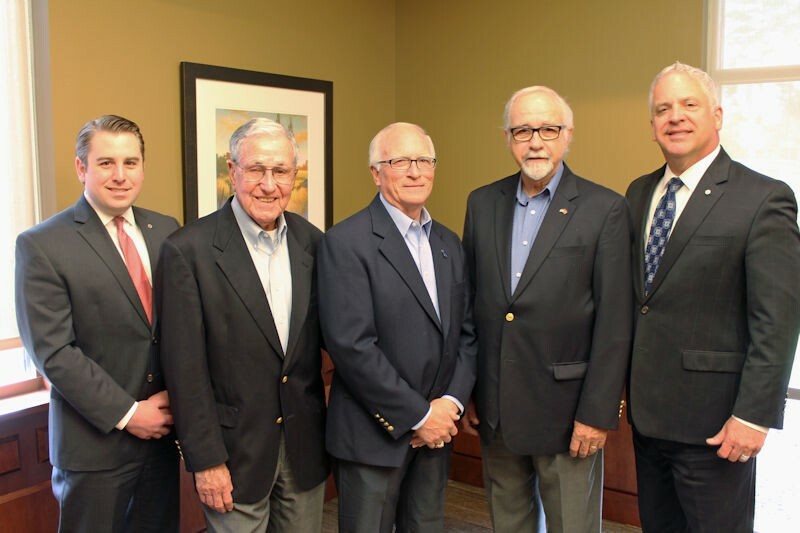 William “Willie” McDonald is celebrating his 65th consecutive year in the Middle Tennessee banking industry, the last 11 of those years as Business Development Officer for CedarStone Bank, the bank founded by his son, Bob. 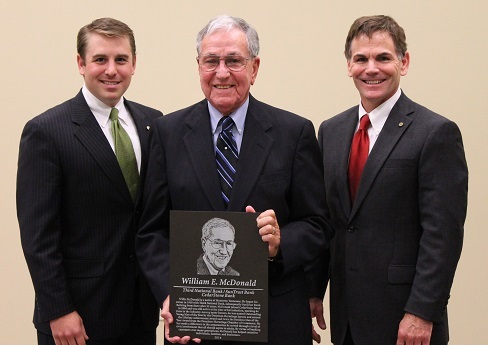 Willie McDonald launched his banking career in Nashville in 1950 with Third National Bank, which later became SunTrust. He worked for Third National and SunTrust for 53 years, then had a brief stint at Regions Bank before coming to CedarStone when the bank opened its doors in 2004. “I watched Third National grow in the 1950s so it’s been exciting with CedarStone to again be part of something at the very start and watch it grow,” McDonald said. The accolades are nice but what keeps McDonald coming back to his office every morning is the opportunity to help people and foster relationships that are long lasting. “I always open a conversation by asking ‘Who’s your banker?’” McDonald said. “And I would say 80 percent of the people I ask tell me they don’t have a personal contact at their bank. 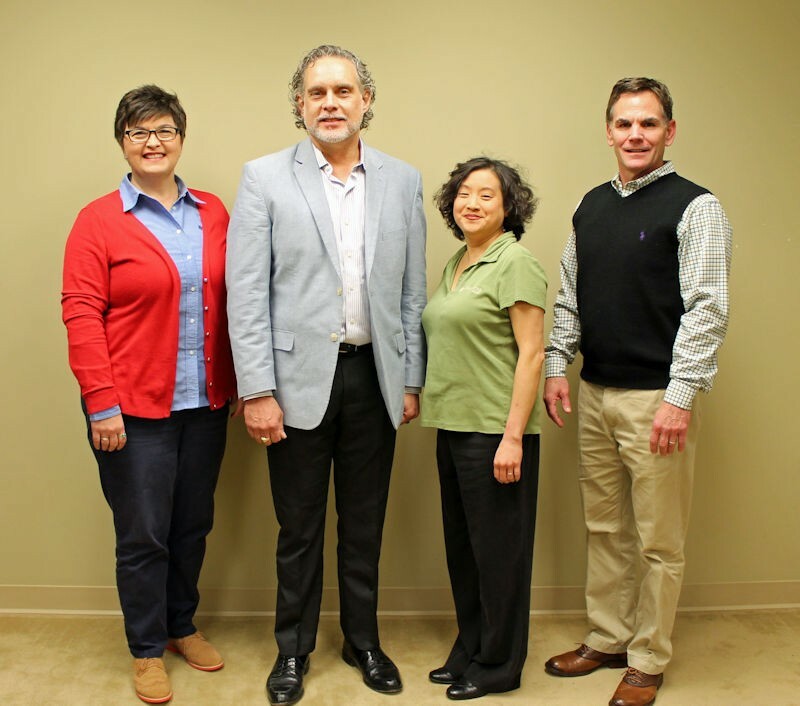 McDonald’s grandson, Robert L. McDonald, Jr., serves as CedarStone’s Relationship Manager in its Donelson office, giving the family three generations of Middle Tennessee bankers. Willie McDonald has not only helped hundreds of businesses with their financial needs but also mentored dozens of bankers over the years, including CedarStone Executive Vice President Hank Stuart, whose first job in banking was under McDonald at Third National. Indeed, customers can still find McDonald walking around, whether it’s in the bank lobby, in customers’ offices or at community gatherings around the area. And McDonald is thrilled to take part in CedarStone’s latest venture, a new, state-of-the-art branch location in Donelson. “It’s still exciting to watch a new branch open its doors for its customers,” he said. “Banking has changed in a lot of ways in 65 years but, in some ways, it hasn’t. You have to keep up with technology or it’s going to go off and leave you. But that doesn’t mean you lose the personal relationship that so many of your customers are accustomed to. McDonald, who was born in Monterey, moved to Nashville in 1938. He and his wife, Helen, have been married 62 years and have two sons (Bob and Bill), five grandchildren and two great grandchildren. Our last day at the current branch (2900 Donelson Pike) will be Friday, August 7. The branch will be closed on Saturday, August 8, and then we will be open for business at the new branch on Monday, August 10. This branch will also feature an enclosed night drop. 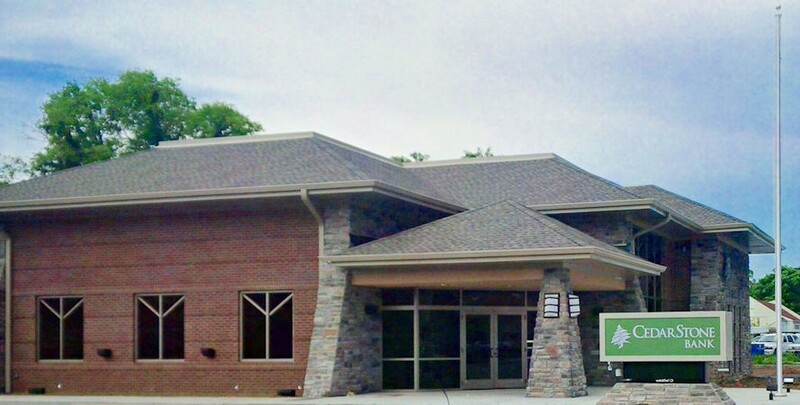 For more information on our new Donelson branch please call 615-874-1444. *1 - Availability of funds governed by account agreement. 2 - Check cashing services may not be available for some checks. 3 - Maximum amount that you may receive for a check cashed at a CedarStoneSmart ATM is determined by various factors, including any cash limits imposed by the ATM or your card, and the amount and types of currency in the ATM at the time of transaction. Congratulations Kali Meyer Holder, Wilson County Teacher of the Year! Congrats to Kali Meyer Holder, 7th grade math teacher at Walter J. Baird Middle School for being selected as the 2014-15 Wilson County Teacher of the Year. CedarStone Bank employees gathered to congratulate her soon after the award presentation Friday night at Cumberland University. Do you need an internship? Do you want to potentially find your perfect internship in five minutes or less AND not have to move away from home? Then you MUST attend the upcoming Collegiate Connections Speed Networking Internship Event held at Cumberland University's Baird Chapel on Tuesday, April 21, 2015 hosted by the Leadership Wilson Class of 2015 and sponsored by Cumberland University. SPACE IS LIMITED and you MUST RSVP (You Must RSVP to Register) by Monday, April 13th! You will speed network with a variety of Wilson County businesses who are currently seeking a summer or fall intern. There will be for-profit businesses seeking paid internships and some non-profits offering unpaid internships. There will be additional traditional networking time before and after the "main event." Lunch will be generously provided for free by Cumberland University, and the event is free of charge for both college students and business participants. You are eligible if you attend college in Wilson County or are a Wilson County resident currently enrolled in any college or university (no matter the location) for your sophomore, junior or senior year. Register today to reserve your spot. You do not want to miss out on this amazing and exclusive access to Wilson County's top internship providers! Don't forget the deadline is Monday, April 13th and RSVPs are REQUIRED! Get an internship FAST! Questions? Contact Melynda Bounds ​at ​mbounds@cedarstonebank.com or Amber Hurdle at amber@amberhurdle.com.